I’ve never had a desire to have a “big” ministry for the sake of big. In times past my leaders and I have struggled about the importance of keeping numbers. We’ve never set numerical goals. I have always struggled with marrying goal-setting versus being led by the Spirit of God. We don’t want to pit KIMI or PowerClub leaders against each other in any kind of competition. But numbers are a way of keeping track to see if we’re being effective at all, or if we are in denial. Numbers can be a reality check for good and bad. “Big” really creates a lot of administrative problems that equal headaches. But if “big” means reaching hundreds of thousands of boys and girls with the supernatural power of the Holy Spirit, then count me in. At the end of 2011, after a six year period of pioneering the concept of PowerClubs, thanks largely to the efforts of one of our key leaders, Pamela Ayres, we reported that we had 453 PowerClubs reaching 23,000 children weekly in 18 nations. As of the end of 2012, however, we now have 951 PowerClubs serving 34,308 children. This means we have gained another 11,000 children and 500 new clubs adding three new countries in just one year! 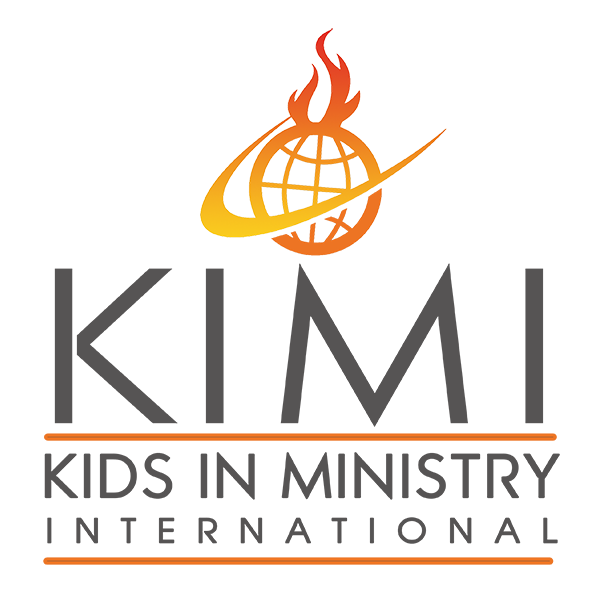 This has taken team effort, and our core team of KIMI leaders are also steadily growing. I now have twelve key leaders who have embraced this vision as their own. In 2011, for the first time in this ministry, God dropped actual numbers in my heart. I heard, “5,000 graduates of the School of Supernatural Children’s Ministry, 10,000 trained PowerClub leaders, and 100,000 children attending PowerClubs weekly within a ten year period.” How will this happen? We pray for Holy Ghost strategy and wisdom every day, and that God will connect us with leaders worldwide who will be captured by this vision like we are and run with it in their own nations. One of our leaders in India sent us a testimony about a little 6 year old girl that attends his PowerClub on a regular basis. Her daddy would get drunk every day, and in the mornings, he would beat her mother and her. Afterwards, he would be sorry and cry for what he did, then fall asleep. This would happen every day. One day, he beat this little girl extra hard. After he fell asleep, the child found some oil to use for prayer. She silently slipped over to her her daddy and wiped some of the oil on his forehead, prayed for him, and left him alone. When he woke up, the tormenting spirits were completely gone! He went to church with her and her mom the next Sunday and gave his heart to the Lord! Our leader in Ghana wrote to say a 5 year old girl returned home from a PowerClub meeting one day to see her father sacrificing a fowl to an idol in front of the house. The meat of the animal was later used to prepare soup for the family’s dinner and our girl refused to take the soup. Everyone in the family was shocked. Instead of eating her food, (a maize meal like thick porridge) with soup, she mashed it and ate it without even getting sugar. She also told her parents plainly that she would not eat anything sacrificed to that idol. She added that the small god belongs to Satan and she will have nothing to do with that meat. This continued for 3 days according to the PowerClub leader. During the period this girl went through hunger because she did not want to touch any food in the house that she thought was contaminated. The PC leader heard about it after the second day and started feeding the girl from her own home. The mother, being challenged by the little girl’s commitment to God, followed her to church, for the first time in her life, the following Sunday. The mother has since given her life to Jesus and remained in the church. We continue to pray for the father and other members of the family. 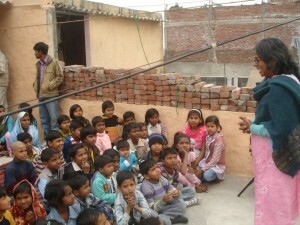 One of our PowerClubs in India actually meets in the front porch area of a Hindu temple. How this was arranged, I don’t know. But one week the leader taught on the baptism in the Holy Spirit. At prayer time, these village children began crying and speaking in tongues. Then all of a sudden they began falling down under the power of God! But not in nice, neat little rows like we are used to seeing in our Western churches–they fell on top of each other in one big heap! How some of them were even breathing, I have no idea! We cannot do this without your help. It costs thousands of dollars to go into the nations, spend 2 or 3 weeks training leaders, translating our children’s curriculums into their languages, printing out copies for each of them, and following up to make sure they are remembering to do what they were taught. But when you break the numbers down, do you realize for as little as the cost of a Happy Meal at McDonald’s you can help us reach one child for a year in a PowerClub in some far off land? Will We Lose a Generation? Do You Parent Like a Meerkat?